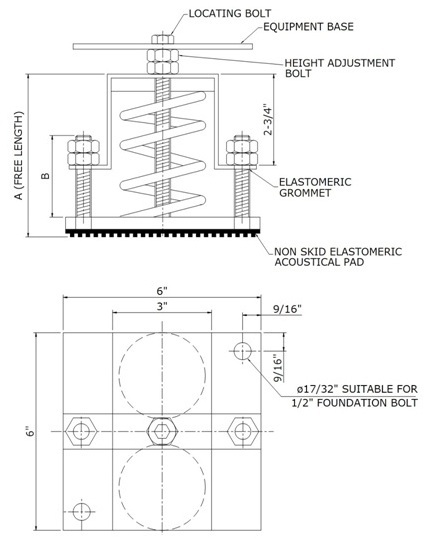 SMR-2 series are restrained spring mounts with Restricto assembly that limits vertical movement due to reduced loads or external forces (wind loads). 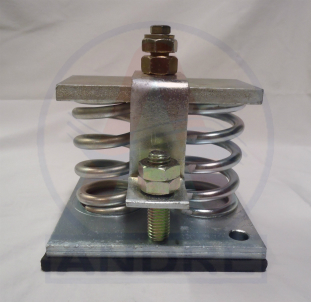 Thes mounts are more suitable and effective when used for equipment with significant variations in installed weight and operating weight and equipments mounted on roofs. 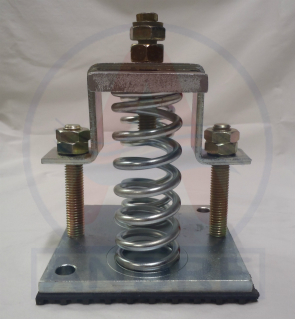 SMR-2 series spring mounts are unhoused laterally stable steel springs welded to top and bottom steel plates.